Most likely, Minecraft PE 1.0.6 is the latest update in the 1.0 line. Next will be MCPE 1.1, which will take much longer to develop than small updates. The list of changes is presented below. 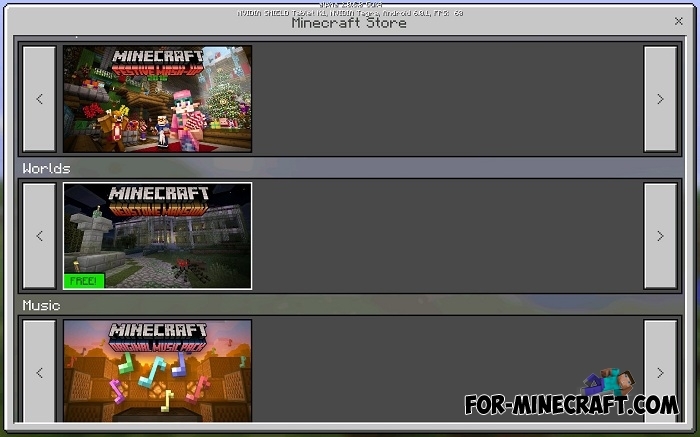 Now players can buy ready-made worlds, in addition to sound packs and editions. Try Redstone Mansion, it's free. You will not see a changelog of new versions during the game. Slimes jump so as planned. You can tame horses that were spawned in traps. Fixed a bug with drop from the blocks destroyed by the Wither. Correct change of the sizes of snow golem pumpkin heads. The cancel button works correctly. Corrections with activated resource packs. Yes, this is not such a major update unlike MCPE 1.0.5, but we are getting closer and closer to 1.1 which will definitely amaze us with new features. After all, the Pocket Version has a lot of common features with the MC PC. Command Mansion map (MCPE 1.0.5)The first fully working house with command blocks.. I am so excited for the new update. Everyone is HYPE because of the new v 1.0.6.